Dominique Browning has started a blog called Slow Love Life. The blog harkens back (or perhaps forward) to the title of her new memoir, Slow Love: How I Lost My Job, Put On My Pajamas & Found Happiness which drops in early May. I find Dominique Browning to be a fine writer. 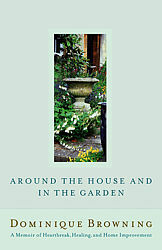 Her collection of essays, Around the House and in the Garden, is one of my favorites. She is also a fine editor (despite that incident with House & Garden). 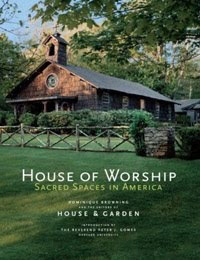 I am totally enamoured of church architecture and Houses of Worship: Sacred Spaces in America is another fave of mine. While closing House & Garden SUCKED, I am looking forward to reading more from Browning on her blog. You should, too. little augury, you have such great taste in books... and other things, of course!